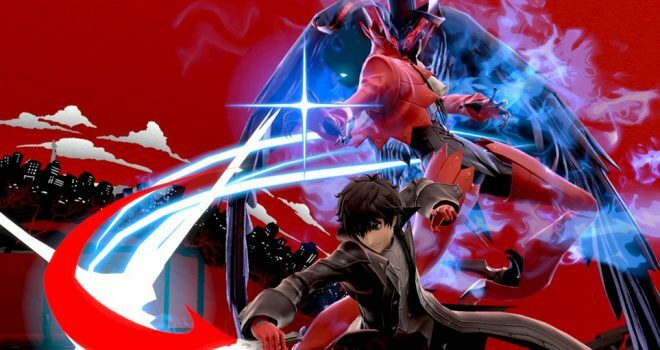 In a new video released today, Nintendo unveiled that the new playable fighter Joker from Persona 5, the Mementos stage and several Persona series music tracks will be coming to the Super Smash Bros. Ultimate game for the Nintendo Switch TOMORROW. The new fighter is available as part of Super Smash Bros. Ultimate Fighters Pass or purchase Challenger Pack 1. Video Editor: Super Smash Bros. Ultimate video content that have been saved to a Nintendo Switch system can now be spliced together into a fun timeline presentation. Subtitles and sound effects can also be added to personalize the video, which can be exported and shared with the world through the new Smash World service for the Nintendo Switch Online app. Smash World: Players can view shared videos and download stages created in Stage Builder to Super Smash Bros. Ultimate in Smash World, a new service in the Nintendo Switch Online app. In Smash World, players can view recommended videos and even download custom stages shared by others online, giving players more ways than ever before to share their Super Smash Bros. Ultimate experience with friends. The Challenger Pack 1 containing Joker, the Mementos stage and Persona series music can be purchased for $7.55 CAD, but players can also purchase the Fighters Pass for a suggested retail price of $31.49 CAD, giving them access to Joker and the other upcoming four Challenger Packs as they release. All content in the Version 3.0 update of Super Smash Bros. Ultimate will be available for free.